Northwell Health has a simple goal: Be better off tomorrow than we are today. But with more than 60,000 employees, one million annual applicants and 10,000 annual hires, managing to this goal in the talent acquisition department has its challenges. Northwell Health is a complex system with multiple companies and divisions – 22 hospitals, a research institute, insurance company, nursing and medical school, home care company and more – and its employees are responsible for caring for patients and a community of more than 8 million people. Regardless of the numbers, the candidate and hiring leader experience needs to align to the organization’s four pillars – patient satisfaction, employee engagement, innovation and wellness. The talent acquisition team was also faced with significant branding challenges. First, the company has recently rebranded from North Shore Long Island Jewish Health System to Northwell Health – candidates were simply not aware of the name change and what Northwell represented. Second, the team was recruiting for 22 different hospitals, each with its own branding and messaging. Combine these branding challenges with a competitive healthcare environment and the desire to bring innovation to its hiring process, and the Northwell TA team needed a change. 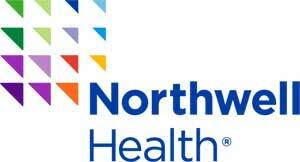 Similar to most healthcare organizations, Northwell regularly recruits for a number of high volume positions. As part of the hiring process, the team would schedule interview days where hiring leaders would interview multiple candidates. Now, those candidates are asked to complete an on-demand video interview. “Candidates have already been screened by the recruiters as qualified, capable, and a good fit. This gives the hiring leads more confidence in the candidates they interview and choose from, because they’re already pre-screened,” said Comerford-Hewitt. Hiring leaders have praised the technology’s efficiency, and how it gives them additional flexibility by being able to review candidate submissions at any time, from anywhere. The executive search team has found that live video interviewing can be particularly effective for its efforts as well, giving them an additional opportunity to meet candidates face to face before making that final determination about who to bring in for interviews.